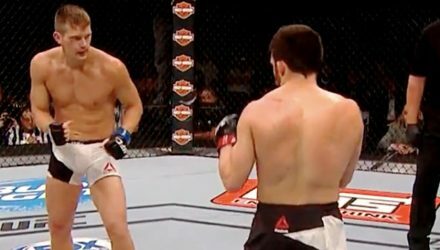 After a fantastic career, Jake Ellenberger announced his retirement following his UFC Fight Night 135 loss to Bryan Barberena on Saturday in Lincoln, Nebraska. 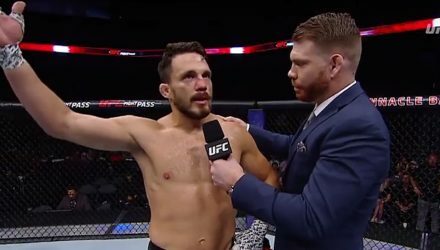 Fighters react to Jake Ellenberger announcing his retirement from fighting following his UFC Fight Night 135 loss to Bryan Barberena on Saturday. 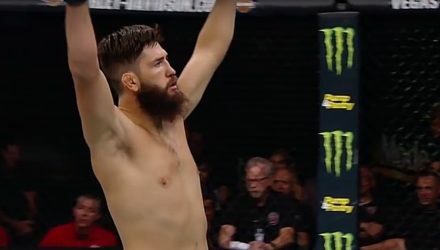 Check out the highlights from the welterweight bout between Bryan Barberena and Jake Ellenberger from UFC Fight Night 135 in Lincoln, Nebraska on Saturday. 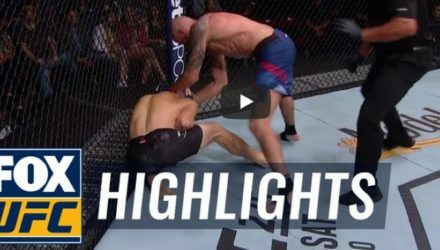 Check out highlights from welterweight bout between veterans Ben Saunders and Jake Ellenberger at UFC Fight Night 131 on Friday in Utica, New York. 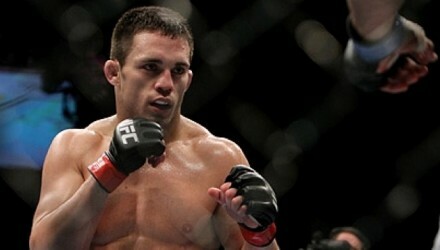 Jake Ellenberger draws Ben "Killa B" Saunders in Utica, New York, after original opponent out due to injury. 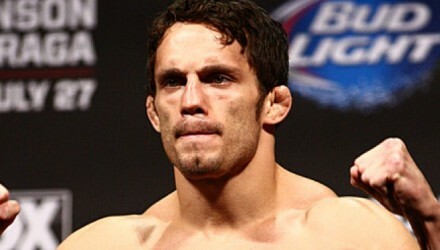 Welterweight veteran Jake Ellenberger returns to the octagon after a year layoff against Bryan Barberena at UFC Fight Night 131 on June 1. 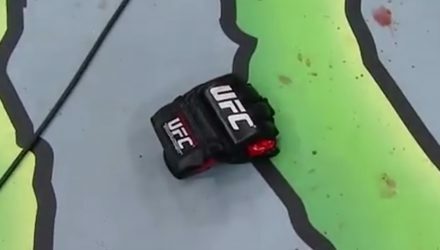 Watch Mike Perry brutally knock Jake Ellenberger out at UFC Nashville: Swanson vs. Lobov on Saturday in Nashville, Tenn.
Jorge Masvidal took home the victory over Jake Ellenberger at The Ultimate Fighter 24 Finale, although it was hardly the ending that anyone had expected. 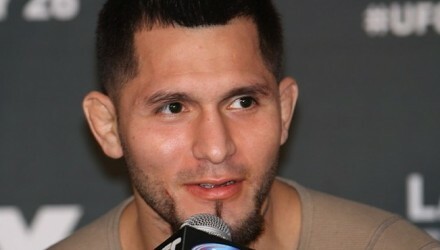 Watch The Ultimate Fighter Tournament of Champions Finale post-fight press conference live following the event. 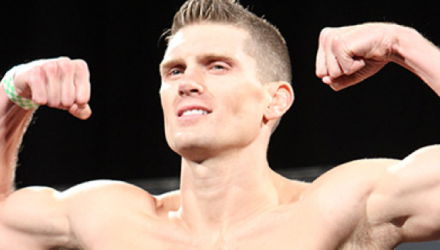 During Stephen Thompson's current seven-fight win streak, he knocked out Jake Ellenberger with a perfect spinning hook kick. Check it out! 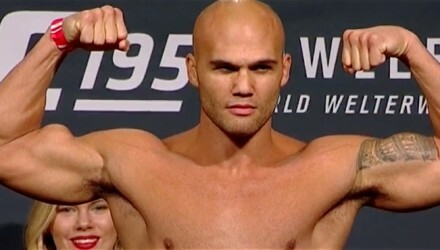 The 24 fighters competing on Saturday's UFC 201: Lawler vs. Woodley fight card in Atlanta officially weighed in on Friday at the Fox Theatre. Watch the UFC 201 official weigh-in on Friday, streaming live from the FOX Theatre in Atlanta, Georgia at 4 p.m. ET. 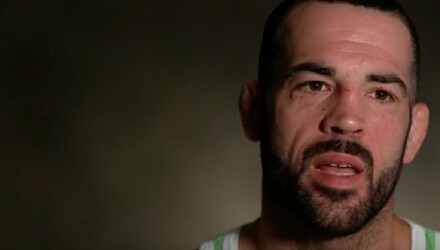 Welterweights Matt Brown and Jake Ellenberger zero in at gyms that they believe will put them back on the path to dominance. 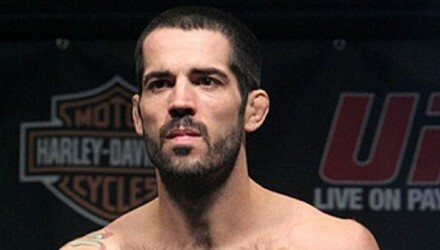 Welterweight veterans Matt Brown and Jake Ellenberger have verbally agreed to meet at UFC 201. 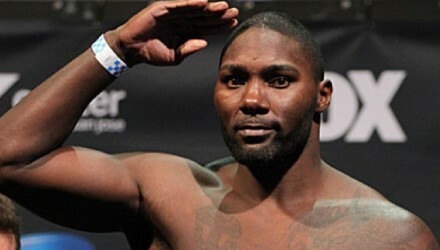 Watch the UFC on FOX 18: Johnson vs. Bader official weigh-in streaming live from the Prudential Center in New Jersey on Friday at 4 p.m. 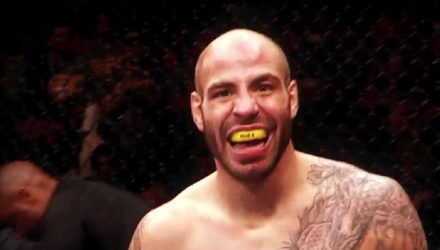 The Nevada Athletic Commission released the full medical suspensions stemming from The Ultimate Fighter 21 Finale to MMAWeekly.com. 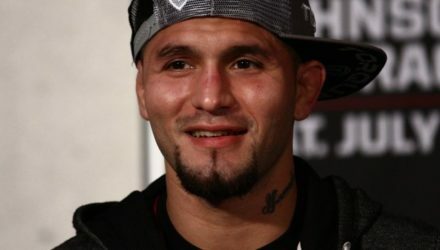 Jorge Masvidal topped the $596,000 TUF 21 Finale fighter salaries on Sunday night in Las Vegas. 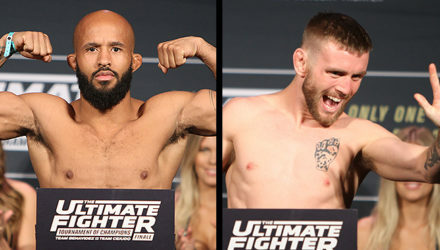 The Ultimate Fighter 21 Finale full results and live fight analytics from Las Vegas, where Jake Ellenberger and Stephen Thompson headline in a welterweight showdown. 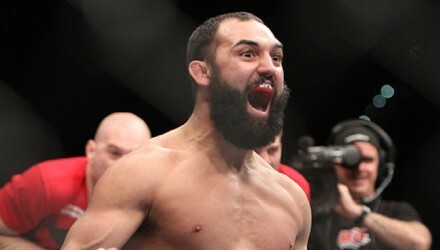 The 16 fighters competing on The Ultimate Fighter: American Top Team vs. Blackzilians Finale on Sunday officially weighed in on Friday in Las Vegas. 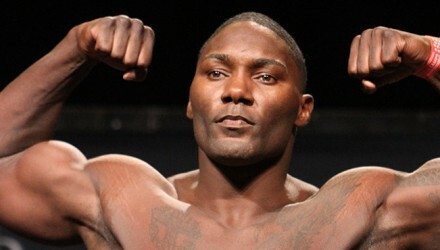 Watch the official weigh-in for The Ultimate Fighter 21 Finale streaming live from Las Vegas on Saturday at 4 p.m. ET. 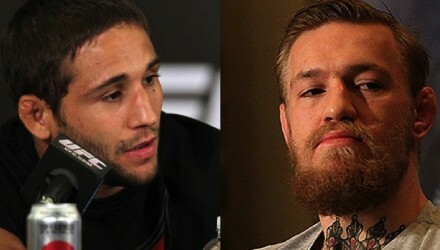 The marquee fighters competing on this weekend's UFC 189 pay-per-view event and The Ultimate Fighter Finale fight card fielded questions from the media. Watch the UFC 189: Mendes vs. McGregor and The Ultimate Fighter Finale press conference streaming live from Las Vegas on Thursday at 2 p.m. ET.